The 10006 zip code in Battery Park City/Lower Manhattan came in second in an undesirable category. The area had the second highest percentage of restaurant health code violations in the Big Apple, with 13 percent of food establishments earning a â€œCâ€ grade, reports AM New York, which studied recent reports of the Health Department. A â€œCâ€ grade is the lowest a restaurant can receive. Therefore, the only good thing about this rating is that there is nowhere to go but up. The average rating for a zip code was 8 percent of restaurants being slapped with violations. 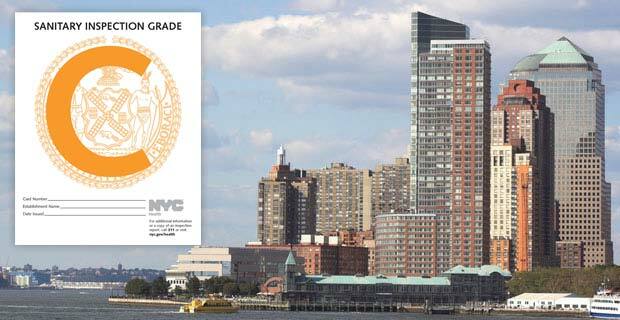 The 10026 zip code, which serves Morningside Heights/West Harlem, had the largest percentage of restaurant violations, with 20 percent of eateries receiving a â€œCâ€ grade. The letter grade system went into effect last July. How much does a restaurants letter grade effect your decision to eat there?